You can now attach a modular forend weight to your favorite automatic shotgun that has a magazine that can also be extended. Unlike the competition Beretta’s and Benelli’s which have a small diameter threaded shaft located centrally on the magazine to hold the fore end cap in place these weights are used in conjunction with the fore end cap used on magazine extensions. The generic weight is added to the forend cap which adapts to your specific gun resulting in an approximate weight of 6 ounces. 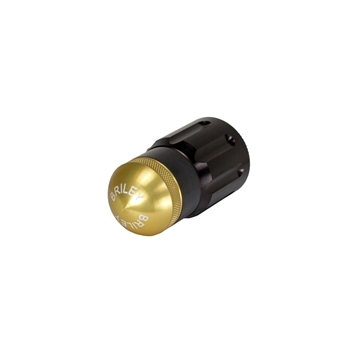 The weight is also supplied with a threaded, colored cap (you choice of color) which can be removed and additional weight added similar to our regular modular weighted for end cap.